Bringing South Florida to St. Charles. While we are still waiting on just who Thiago Silva will fight in the main event of October 10's Gladiator at the Family Arena, the rest of the card was released late Friday night. "Through TUF 21, the world knows that the Blackzilians are one of the premier MMA teams," Fight Hard MMA president Kenny Nowling said. "I didn't want to wait another day to announce the rest of the card. I have never been shy about talking about the depth of our local talent and the gyms that produce it. The combination will make for a special night." 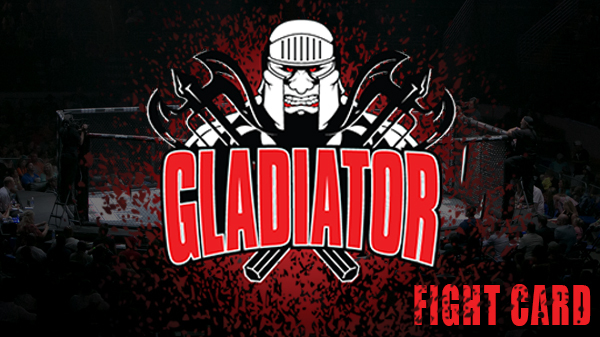 Gladiator is the professional division of amateur-based Fight Hard MMA. Nowling announced recently that Silva (16-4) signed a multi-fight deal and will be the face of Gladiator. Locally, a couple of notable fighters, Steve Berger and Sal Woods, who were rumored to be on the card are not for various reasons. "We are disappointed about not having Steve but his health is he most important thing," Nowling said, who eluded to an elbow injury keeping Berger off. In the co-main event, Blackzilian Valdir Araujo (14-6) takes on Midwest journeyman Victor Moreno, who has won four straight. A veteran of nearly 20 professional fights, Araujo moved to the United States from Brazil in 2008. Well-versed in Brazilian Jiu-Jitsu his nickname -- BBMonster -- was given to him because he was known as a real monster on the mat when he started out in BJJ at 12-years old so he was called 'baby monster' and the name stuck. Araujo has fought plenty of quality fighters including current UFC middleweight champion Chris Weidman, who he took to decision back in 2010. Tom "Kong" Watson, who just fought last month in the UFC, is slated to face Lucas Lopes. Watson, with eight TKO wins to his credit, fought seven times in the UFC beginning in 2012. Lopes is nearing his 50th fight for his career. Hawaiian Maki Pitolo meets Blackzilian and Jamaican-born Jason Jackson, Pitolo has won four straight. Carrington Banks, an Illinois native who made his way to Florida, is waiting an opponent at lightweight. Banks is a former junior college National Champion in wrestling out of Iowa Central. Leading off the main card is local stalwart Josh Weston vs. Blackzilian Andrews Nakahara. Rob Washington returns to action and will face another Blackzilian, Yuri Villefort. Washington's last trip to the Family Arena was a memorable clash with the "Altar Boy" Zach Freeman in a fight that won Fight of the Year in 2013. Sine then Washington has gone on to compete for Shamrock FC and Titan FC on numerous occasions. The talented and seasoned lightweight takes on one of the founders of the Blackzilian team in Villefort. Washington, long been one of St. Louis' top lightweights even hinted at retirement before deciding to this fight. Lucas Gwaltney has put together some of the most exciting performances ever on St. Louis soil. His decision victory over Adam Cella is still being talked about. Gwaltney returns to the St. Louis area when he faces Chris Manuel. Manuel is coming off an impressive first round submission of Jake Constant in June. The well-rounded product out of American Top Team (both Coconut Creek, Fla, and Evolution, here in St. Louis) has five wins via submission. Gwaltney is no stranger to the Family Arena. He has fought for the promotion back when they were called Fight Me MMA, and his bout with the UFC's Abel Trujillo has long been considered one of Nowling's key fights in the promotion's history. Cage photo courtesy of Sara Levin Photgraphy.